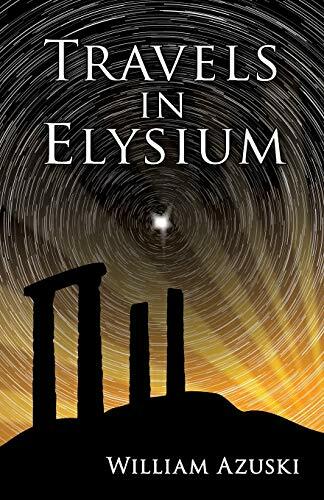 A metaphysical mystery set on the Aegean island of Santorini. Trading rural England for the dream job of archaeologist's apprentice on the scarred volcanic island of Santorini, 22-year old Nicholas Pedrosa is about to blunder into an ancient mystery that will threaten his liberty, his life, even his most fundamental concepts of reality. A death that may have been murder... An island that blew apart with the force of 100,000 atomic bombs... A civilisation prised out of the ash, its exquisite frescoes bearing a haunting resemblance to Plato's lost island paradise, Atlantis... And inexplicable events entwining past and present with bewildering intensity... Can this ancient conundrum be understood before it engulfs them all? 'This extraordinary novel, part murder mystery, part metaphysical thriller, kept me guessing until the very last page. The intellectual duel between the troubled hero and his ruthless mentor is mesmerising. William Azuski's treatment of the Atlantis legend is completely original and I have rarely read a novel with such a strong sense of place. The bizarre landscapes of Santorini and the daily lives of its people, both ancient and modern, are vividly evoked. Anyone who enjoys the work of Umberto Eco, Orhan Pamuk or Carlos Ruiz Zafón should try this book.' - Geraldine Harris, author, Egyptologist, and a member of the Faculty of Oriental Studies at the University of Oxford.